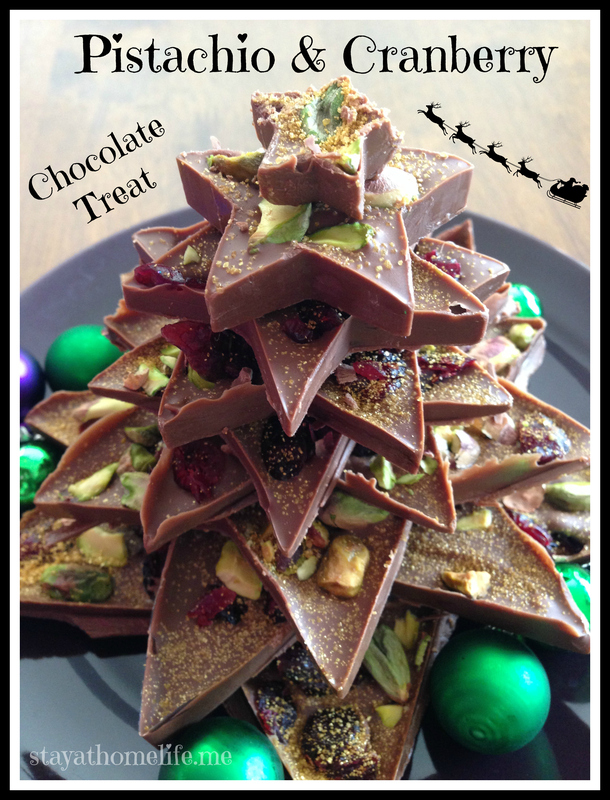 Chocolate Cranberry and Pistachio Christmas Treat. A good friend makes this recipe each year as just a large slab that she then cuts into squares (or shards as she calls them, lol), The colours just look so pretty together, so I thought I’d take it a step further and make an edible decoration out of it! There really is no recipe as such, and the method is as straight forward as it looks. Heat chocolate until smooth and runny. You could use any kind of chocolate you like, milk, white, dark, I used a store brand milk cooking chocolate. You can just pour it out onto a flat surface or use some cookie cutters like I have. 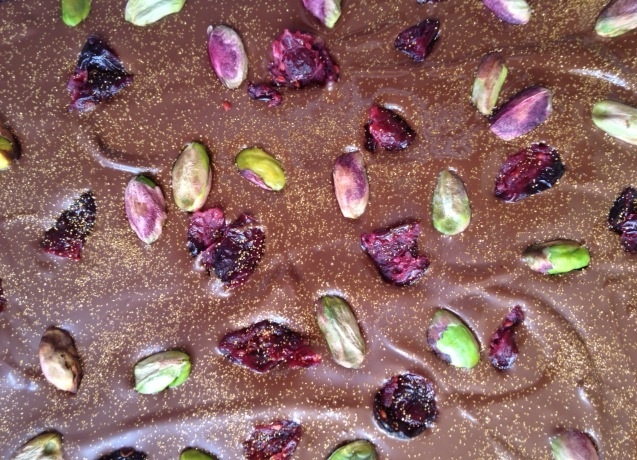 While still runny, sprinkle with your favourite fruit and nuts, pistachio and cranberry work well at this time of year as the colours are what I consider “Christmassy”. Dust with edible glitter if you like, but it still looks yummy without! Sprinkle with nuts and berries.